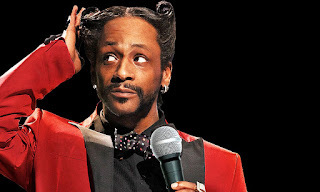 By now, I'm sure the news has hit you all: Katt Williams challenged Kevin Hart to a comedy battle for 5 million dollars total after calling Kevin a "puppet" on his comedy tour. Katt was coincidentally arrested after he made those comments and accused of holding 5 women at gunpoint. Now, to some this marks the actions of a crazy man on drugs, who has lost his way, but is that really the case? Let's take a look at the rise and fall of Katt Williams. Katt began his career in Cincinnati, his hometown, doing stand up. 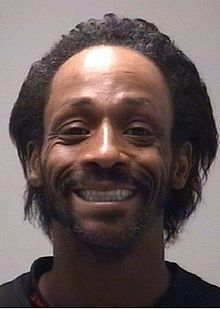 In the late 90's, Katt established himself via The Improv, The Comedy Club and appeared on BET's Comic View. While his success was growing some, eyes began to open and soon Katt would be given a hell of an opportunity. After having an appearance on the show NYPD Blue, Katt would be given a huge role in the 3rd Friday film, Friday After Next, as the charismatic Money Mike. 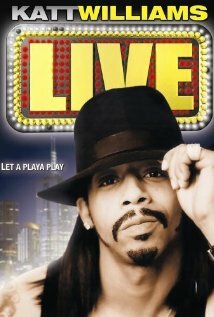 For the majority, this was the first time you really saw Katt Williams do his thing, and he instantly left an impact on everybody with that role. In some ways, that role would typecast Katt for the rest of his career, as he would be seen as just Money Mike to many because essentially Money Mike was Katt anyways. Money Mike was brash, hilarious, disrespectful and loud. If you've seen Katt and his stand up, then you know those things also apply to him as well. 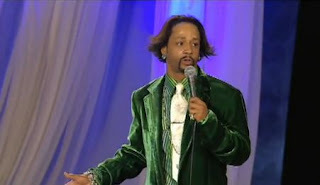 However, as Katt was enjoying the success from Friday After Next, his most prized moment would come in 2006, when he was given two comedy specials, one of which would change his career forever, in both good and bad ways. The first one isn't as significant, as Katt's Let A Playa Live stand up special doesn't resonate as much, but it would be his Pimp Chronicles stand up special that garnered headlines and instantly put him in the driver's seat. Coupled with a role on the Nick Cannon show Wild'N Out, the Pimp Chronicles would see Katt going for the title of the funniest comedian, with hilarious yet raw depictions of Michael Jackson, a bit on self esteem for women, hanging out with your white friends, and the most infamous bit, which spoke about Hollywood and the behind the scenes nature that comes with it. That Hollywood segment has somewhat come back to haunt Katt in many ways. He spoke about executives in meetings sniffing coke in front of him, going to private Mansion parties to see that Hollywood really hides who is gay and who isn't, and he spoke about things in general that have always been rumored about the industry. Katt pulled no punches, and walked away from Pimp Chronicles leaving us with a ton of quotes and jokes to keep alive. That was the highpoint of his career. Nothing could stop Katt it seemed. 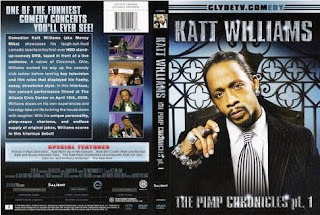 Though his star wasn't necessarily the biggest, he was building a movement of loyal fans and with appearances in films like The Perfect Holiday and First Sunday, Katt was maintaining and even preparing for a second big stand up special, this one titled "It's Pimpin, Pimpin". However, right after Pimp Chronicles is where it all seemed to go wrong. He was arrested in late 2006, and would have to be sentenced to three years probation for having a stolen gun apparently at the LA airport. Now, let's think about that for a moment. One of the bigger comedians in current times would go through an airport with a stolen gun in his briefcase knowing they check for weapons anyways?? That doesn't add up to me personally, but if you believe Katt is on heavy drugs, then maybe that makes sense to you. 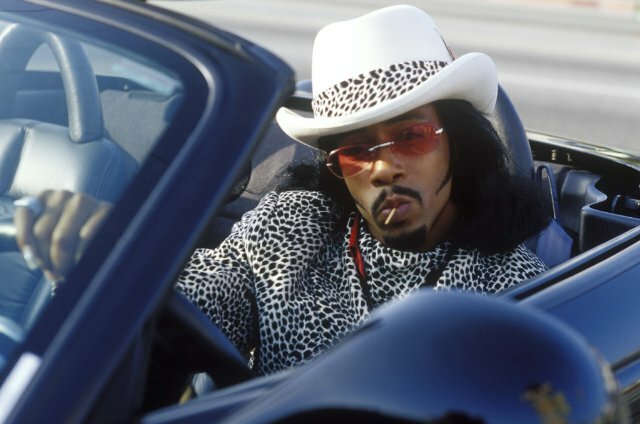 Katt would take a more political tone in his "It's Pimpin Pimpin" special since it was released in 2008 around the time of the election. 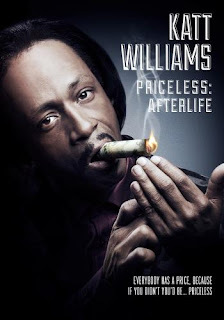 Katt would still make mentions of the industry and Hollywood here briefly, but for some reason, after the release of this stand up, life seemingly got tougher for Katt. Could it be the price of fame? Drugs catching up to him? The stress of not being as successful as he might have wanted to be? Or could it be something darker? Something perhaps out of his control? In many ways, Katt is a walking contradiction. He preaches about a free mind and not being tied down to the society's form of thinking, but he is a man that went from joining the Nation of Islam right over to Christianity and praising Jesus. Now, that in itself is a bit odd, but I'm not one to disrespect another man's faith personally, but it definitely seems a bit strange. Without going too deep into the discussion here on religion, I'll just say there are a lot of flaws in Katt's logic and if his contradictions make it hard to sympathize for him and his situations, I understand. However, something isn't right in this situation about Katt and it doesn't just feel like it's all his doing. He was arrested multiple times in 2010, almost back to back essentially, and some of the charges against him don't really make sense. He was arrested accused of stealing 3,500 in coins and jewelry while on a movie set, but posted 40,000 bail to get out quickly and went back to work instantly. For a comedian who I'm sure gets much more than 3,500 to go on stage and perform or act in a film, the logic behind stealing jewelry and coins that he could afford himself is beyond me. Another legal issue that was odd saw Katt arrested for being connected on an alleged assault of a tractor driver. Now, this situation is really strange because the reports allege that Katt intimidated a witness who observed three women beat a tractor driver with rocks and dirt clods. Now, what could have possibly been the cause of that? What would be the motivation for these things to occur? Neither one of these arrests seem to make sense, and Katt would even go as far to say that there's a witch hunt against him for speaking out against the industry and not playing by their rules. Now, we've seen things happen similarly to other comedians, actors, and many more within the business. Once you refuse to play by the industry's rules, you get painted to look crazy, as if you lost your mind, and sometimes that is true. The industry causes many to lose their mind with the pressure of fame and the powers that be. For many, a lot of this talk just sounds like baseless conspiracy theories, but a lot of these things have been proven. Chappelle went through a smear campaign and came out strong, but some others were not so lucky. Katt seems to be one of those. 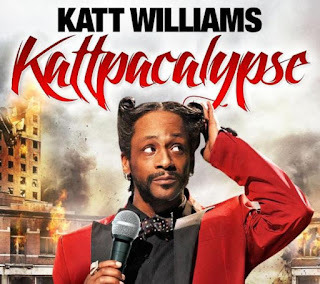 After a few more arrests, Katt would release another stand up title Kattpacalypse, which wouldn't be as good as his others, but still have its moments. Katt spoke about some of his issues there and he continued to be outspoken about the industry and even made a remark about the industry coming after him by saying "I revealed too much and went against a force I probably shouldn't have, so now here I am". The fall of Katt Williams comes with a bit of concern about the state of the industry. Is it possible to succeed and maintain without the proverbial "selling of your soul"? Is it possible to stay in your own lane and just do what you want? Or are these just troubled people who don't know how to handle their big success when they receive it, and use the narrative of an evil industry to place the blame on? Those questions remain unanswered in many ways, but Katt didn't do himself any favors by retiring from comedy at the end of 2012 and then coming out of retirement right after. He has embarked on several tours since, one of which led to a HBO special produced by Spike Lee titled "Priceless: Afterlife", which featured Katt showing flashes of old brilliance, and he's currently been on his Conspiracy Theory tour, where he took shots at Kevin Hart and then made the challenge afterwards, for which he just apologized for, but he took shots at Chris Rock at the same time and this leads me to believe the real reason for the Fall of Katt Williams is his mouth, his outspoken nature, and perhaps his own personal demons. There's no telling if he can recover from it, and he likely doesn't care. He will continue to speak out against the industry and such, and be himself, for better or worse.